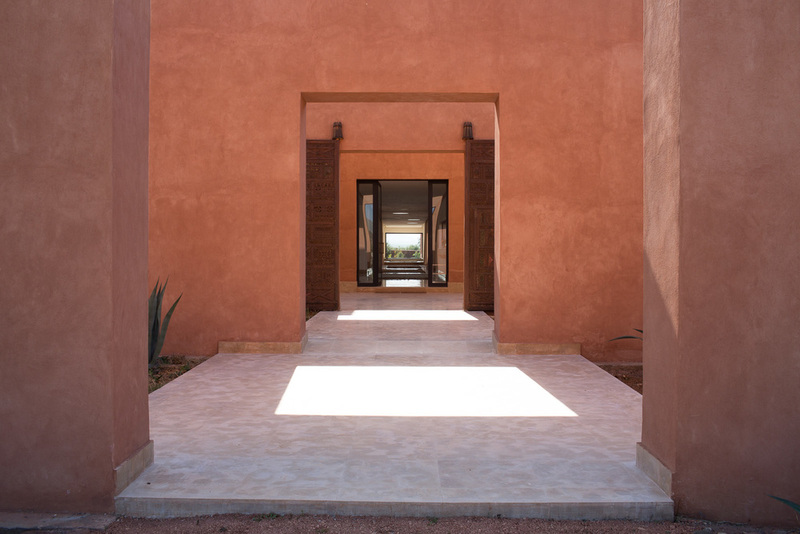 Welcome to Azaren, a 16 Acre (6.5 Ha) estate nestled within olive groves and walled gardens with spectacular views of the Atlas Mountains. Azaren’s accommodation comprises 4 suites in the main house and 5 garden villas each with walled patios, outdoor shower and private terrace. Its extensive amenities include an 18m x 18m heated swimming pool, a clay tennis court, a fully equipped fitness center with a yoga studio (80 m2) , a spa with hammam and a billiard room. 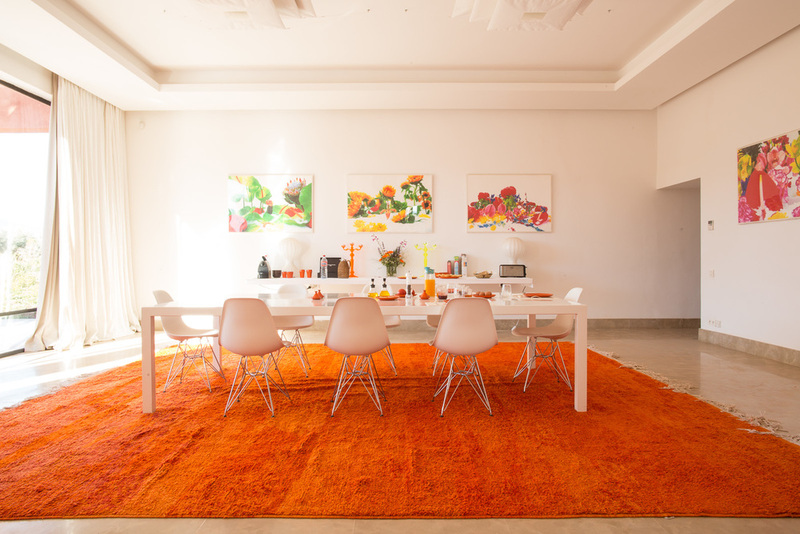 The property has wifi internet throughout, a Sonos music system with an extensive music library and satellite TV. Azaren is air conditionned and central heated. 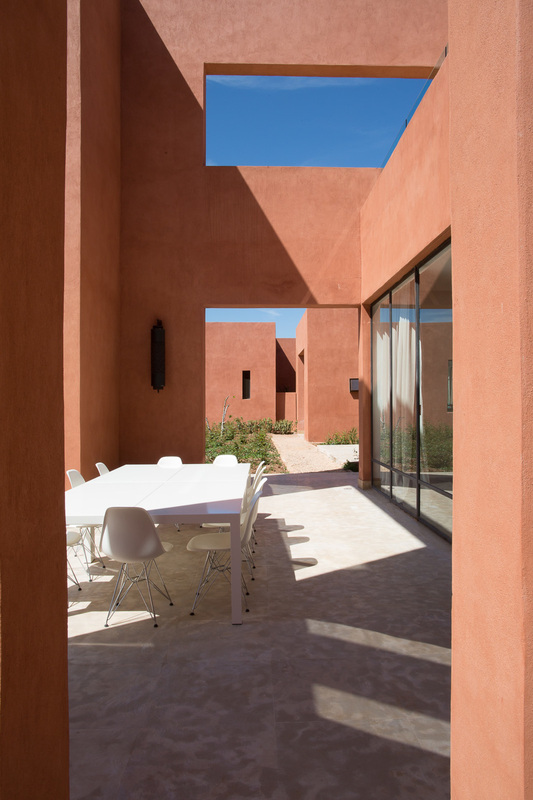 Azaren was designed by international architect Imaad Rahmouni in a style which combines exceptional volumes with the simplicity of Berber architecture. The buildings include the main house extending over 1.200 sqm, five garden villas (about 100m2 each), a pool house and a club house, all surrounded by stone terraces to sunbathe. 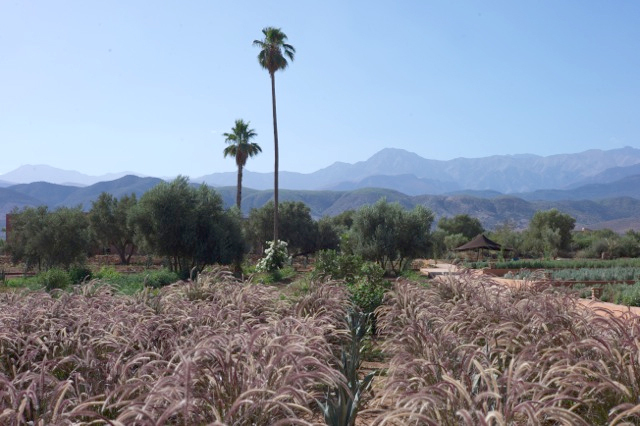 The grounds and gardens conceived by renowned French landscape designers Eric Ossart and Arnaud Maurières blend subtle plantations of fragrant flowers and sculptural cacti with local crops. The main house is arranged on either side of an impressive corridor which leads to the living rooms, dining room, spa, billiard room, television room and four suites. Furnished and decorated by Themes & Variations, the interiors are a striking combination of vintage and contemporary with a Moroccan flavour.